1948 Mercury 114X Two-door Sedan Coupe - Extremely rare "Canada only" model (only 365 made in this body style). To learn more about this car visit the web page devoted to it at the official Ford Motor Company website (click here). Thorough ground up restoration recently completed. Rarely driven since. 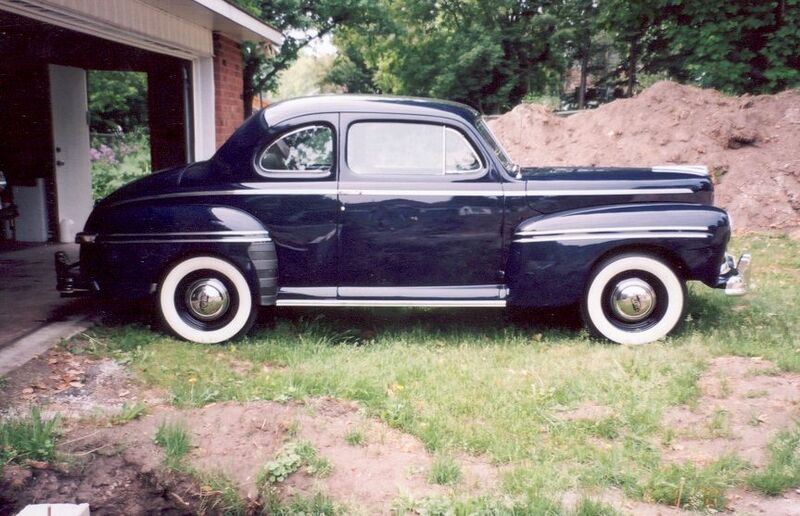 Excellent paint, interior, tires and flathead V-8 motor. You will not find a nicer one than this (if you can find one at all).